12.5" RCOS @ ~f/9 (2880 mm fl) 0.64 arcsec / pixel. The Zoomify image scale is 0.85 to 3.58 arcsec / pixel. 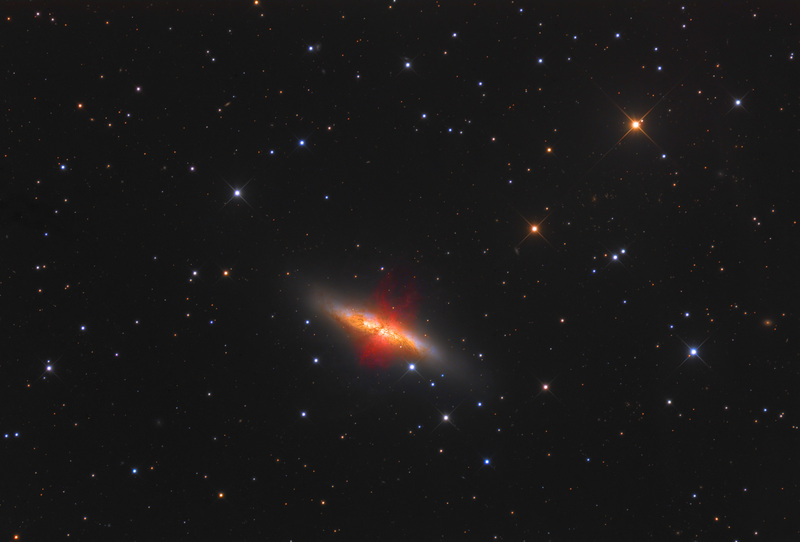 eXcalibrator v3.0 (g-r) color balancing, using 67 stars from the SDSS-DR7 database. PhotoShop for adding the Ha data to the Luminance and RGB data, none-linear stretching and L(ha)R(ha)GB combine.